The next chance for severe weather will increase by this weekend. There could be a few severe storms starting Saturday, but current models are show a strong cap in place that could keep most storms from firing. The threat for severe storms will increase on Sunday as the shortwave trough moves through the area. Sunday afternoon strong to severe storms should develop along a cold front and dryline across the red shaded area. 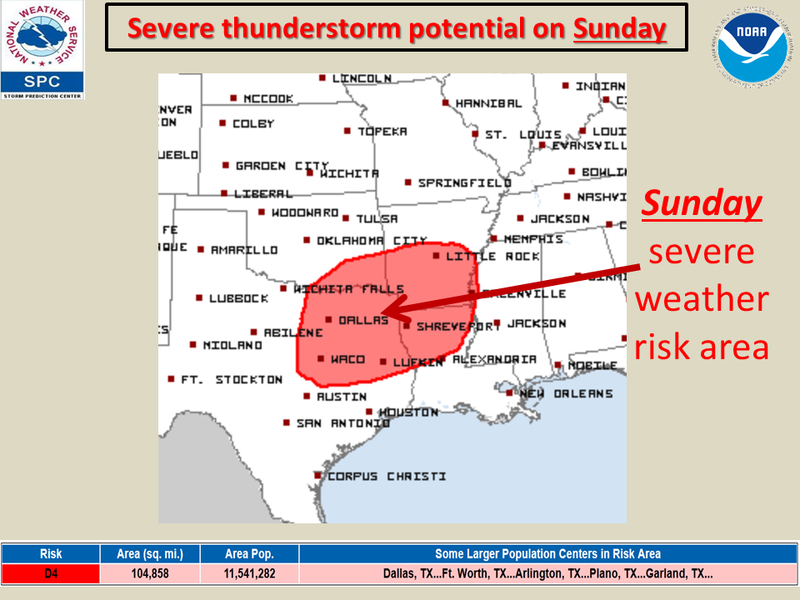 All modes of severe weather will be possible on Sunday. More updates to come as we are still a few days out.